Pietro Mascagni was an Italian composer most noted for his operas in the style of Verismo, an opera marked by melodramatic plots with characters drawn from everyday life where the subjects are not mythological figures, or kings and queens, but average contemporary men and women and their problems. Considered a virtuoso of his times, he wrote 14 operas and operettas, symphonies and soundtracks for the cinema and toured all over the world. A true divo, he was an ingenious and eclectic composer, open minded to every change and innovation. 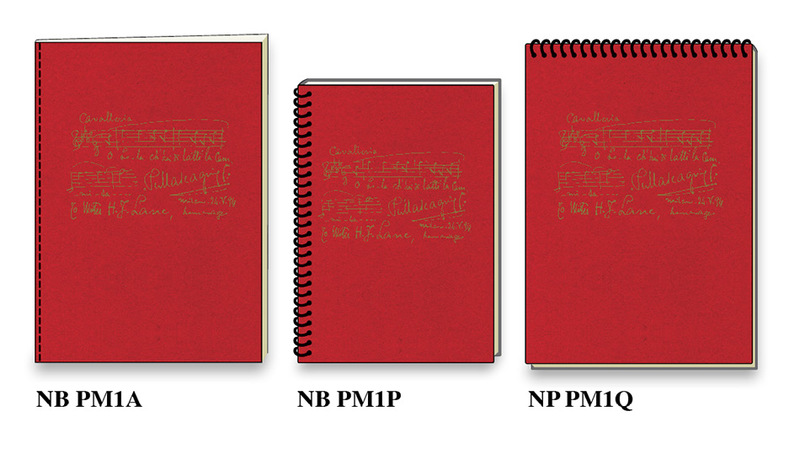 of high quality notebooks and notepads, featuring official and exclusive manuscripts of Maestro Pietro Mascagni. These exclusive “Mascagni” notebooks and notepad have been printed on an antique printing press. The strong covers are in high quality Italian cardboard of 250 and 350 gsm and made using in part residues from organic products of cherry. “Some years ago, we, (3 of Mascagni’s great granddaughters) with my mother, (his granddaughter) Maria Teresa Mascagni, founded a committee, because we thought that it was right, even nice, to try to tell the true story of the composer, a real Italian Excellence. We wanted to let the people know about all his production and his tough willingness to seek out innovation and change, to be an experimenter, even if rooted in music history and tradition. Last year, we met Mattia Rossi, Rossi1931 Managing Director, who knows and loves Mascagni’s music. 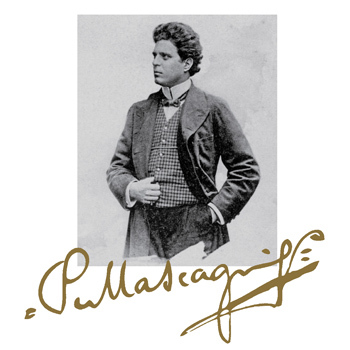 Pietro Mascagni had been a very charming and elegant man, a collector; he loved beautiful and sophisticated things. We know that he used to have little notebooks in his pocket, where he could write some music notes, some notes or some expenditure. We got the idea and we started this nice collaboration with Rossi1931. Pietro Mascagni (born Dec.7 1863, Livorno, Italy) was an Italian composer most noted for his opera, Cavalleria rusticana, but also duly celebrated for his style of opera, distinguished by melodramatic plots and characters drawn from everyday life, called Verismo (based on the Latin word, verita, or truth). In terms of subject matter, Verismo operas focused not on gods, mythological figures, or kings and queens, but on the average contemporary man and woman and their problems, generally of romance, anger, sadness and rage. Known for his proverbial quiff of hair, he was a music composer, orchestra conductor, a true virtuoso of his time; admired and beloved on both sides of the ocean, particularly for his 1890 masterpiece, Cavalleria rusticana which caused one of the greatest sensations in opera history and was said to have ushered in the Verismo movement in Italian dramatic music. 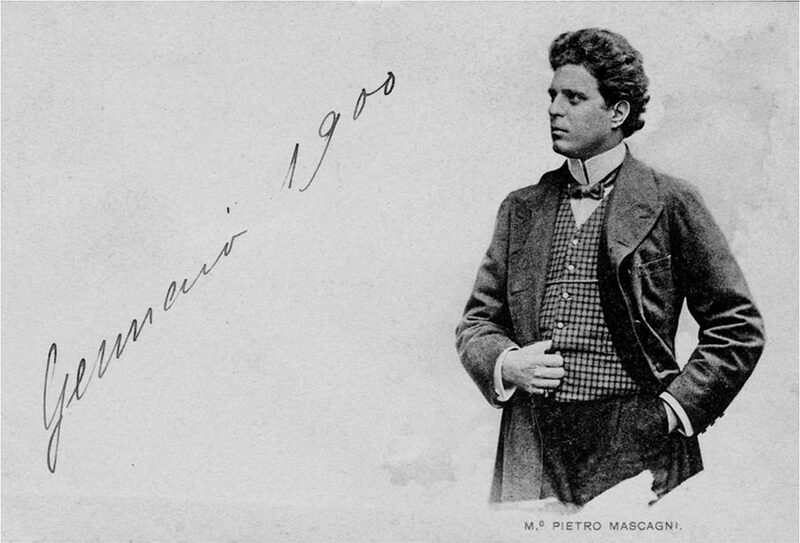 Pietro Mascagni began his studies in Livorno and then at the conservatory at Milan. Rebellious to the rules that were put on him at school and unwilling to submit to the intense discipline of his master, Amilcare Ponchielli, (who considered Mascagni a genius), he left to join a traveling opera company. In 1889 he won the first prize in a competition open to all young Italian composers who had not yet had an opera performed on stage. They were invited to submit a one-act opera, which would be judged by a jury of five prominent Italian critics and composers. The best three would be staged in Rome. He had submitted his one-act opera, Cavalleria rusticana, (Rustic Chivalry) based on a Sicilian melodrama by Giovanni Verga. Cavalleria rusticana opened on the evening of 19 May 1890 at the Teatro Costanzi in Rome to a half empty house. However, the audience included not only the most authoritative music critics in the country but also Queen Margherita, a great music lover. It was an instant success from its opening notes, with Mascagni taking 40 curtain calls. In 1890, following its run of sold-out performances at the Teatro Costanzi, the opera was produced throughout Italy and in Berlin and the following year premiered in London… He was received by the Queen Victoria and he conducted Cavalleria Rusticana and L’Amico Fritz at the Windsor Castle in 1893. American producers competed with each other (sometimes through the courts) to be the first to present the opera in the US. Cavalleria rusticana finally had its American premiere in Philadelphia at the Grand Opera House on September 9, 1891, followed by a performance in Chicago. On December 30, 1891, it made its New York debut at the Metropolitan Opera, and has since received over 700 performances there. At the time of Mascagni’s death in Rome in August, 1945, the opera had been performed more than 14,000 times in Italy alone. Although Mascagni had started writing two other operas earlier, Cavalleria rusticana was his first opera to be completed and performed. It remains the best known of his fifteen operas. Apart from Cavalleria rusticana, only Iris (1898) and L’amico Fritz (1891) have remained as credible and popular operas, with Isabeau and Il piccolo Marat on the fringes of the Italian opera repertoire. In addition to his fifteen operas and one operetta, he wrote several beautiful orchestral and vocal works, as well as songs and piano music. He enjoyed amazing success during his lifetime, both as a composer and conductor of his own, as well as other music. Mascagni succeeded Toscanini as musical director of La Scala, Milan, in 1929. Below you can see the Documentary “Pietro Mascagni, a life in music” recently produced by the Committee for the promotion of Maestro Pietro Mascagni (www.pietromascagni.com). Both are incredibly done and worth watching.